Donald Steven Mackey, of Lee’s Summit, MO, formerly of Raytown, MO, passed away peacefully on September 28, 2018 at his home after a long illness. Visitation will be held 11AM-12PM, with services to follow at 12PM, Friday, October 5, 2018 at One Spirit United Methodist Church, 7900 Blue Ridge Blvd., Kansas City, MO; burial in Memorial Park Cemetery, 8251 Hillcrest Rd., Kansas City, MO. Memorial contributions may be sent to One Spirit United Methodist Church. Don was born December 8, 1936 in Kansas City, MO to Chris Mackey and Harriet Wann Hogue Mackey. He graduated from Southeast High School in 1954 where he was on the photography team. He then attended electronics school. He married his high school sweetheart Janice Pflanz in 1955. They had three children, Steven, David and Laura. He worked for Fuchs Machinery and Haman Machinery in Kansas City. He then joined Townley Metal and Hardware where he was a salesman for over 20 years. His favorite job was with Independent Electric Co., where he was a buyer when he retired. Don and Janice joined Countryside Methodist Church (now One Spirit United Methodist) in 1961 and were active members for over 50 years and members of the Welcomers Class and Keenagers. Don loved to build and added onto or improved every home they lived in. He was very active in Boy Scout Troop 550 and was a member of Mic-O-Say at scout camp. He took the family on many camping trips and loved to travel. 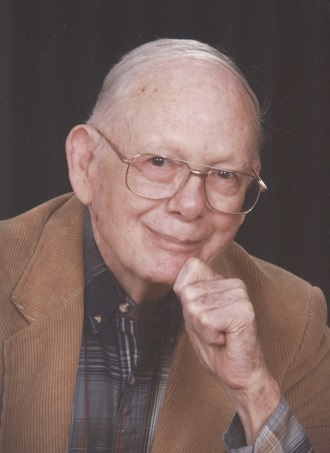 Photography, using a computer, fishing and model railroading were his favorite hobbies. He was a wonderful son, loving husband of 62 years, father and grandfather with 8 grandchildren: Monica, Yolanda, Aaron, Kathleen, Jessica, Amber, Jennifer and Sean; 6 great grandchildren: Kenadie, Ethan, Alexandria, Aidan, Juliana and Rylan; and he was a trusted friend. He will be greatly missed until we meet again. He is preceded in death by his parents and his son Steven. Survivors include his wife Janice; son David (Mary) Mackey; and daughter Laura (Randy) McCann. The family would like to thank Crossroads Hospice nurses and staff for their compassionate care and support.